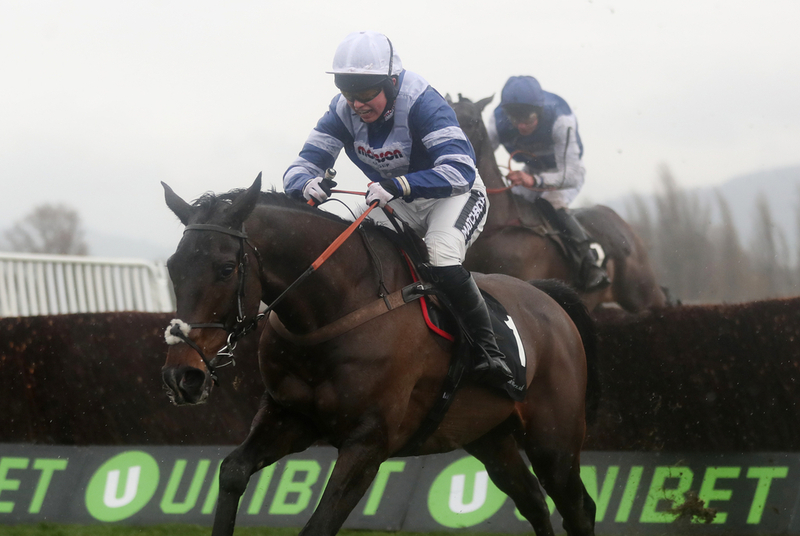 Cheltenham expert Frodon will look to enhance his claims for a slot in the Gold Cup, as he looks set to tackle the Grade 2 Cotswold Chase at the Festival venue next weekend. The 7yo has three career wins at Prestbury Park - most recently his victory under top weight in the Caspian Caviar Gold Cup last month, with regular rider Bryony Frost in the saddle. Frodon is already prominent in the market for a different Festival contest - the Ryanair Chase over two-and-a-half miles, but owner Paul Vogt fancies a step-up to three and beyond. (Credit: Racing Post) He said: "I'm not in charge. It's Paul's [Nicholls] plan and he knows a lot more than me, so I'm just going along with it. "It's a pretty new idea, so we're still getting used to it, but the plan is to see if he stays on trials day and if he does then we have a decision to make, and if he doesn't the decision is made for us. "There are a lot of other things to consider and it could be that the Ryanair is easier to win, but I'll be guided by Paul and Bryony, who will ride wherever he goes. "He's brilliant around Cheltenham but has to step up. He's been handicapping until now, but it's a nice decision to have. We never thought we'd be here this time a year ago." Frodon finished fifth in last year's Ryanair Chase, but a wind-op over the summer has sprung him back to life, with two wins from three, finishing two lengths down to Baron Alco in the BetVictor Gold Cup in November at Cheltenham in his only defeat. If stepping up to three miles, he would give Nicholls an alternative in the big one, alongside stablemate Clan Des Obeaux, who won the King George over Christmas. Frodon is priced at 33/1 for the Gold Cup with most major firms.